The only Final Fantasy that was never localized—the third installment of the original series—will finally reach North American shores. Lauded as "legendary" by the Japanese fan base, Final Fantasy III has been reborn, incorporating the latest in portable gaming technology. Using the features of the Nintendo DS to their fullest, Final Fantasy III features graphics that have been reworked and remodeled in 3D, while maintaining the mythical Final Fantasy look and feel. This is the fans' chance to complete the circle. 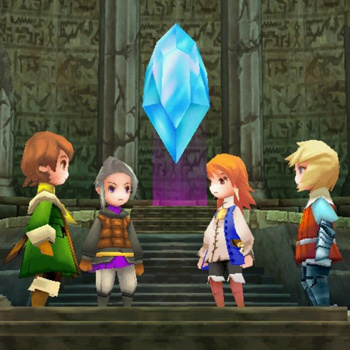 The legend of Final Fantasy III is reborn.